This fast-paced competitive Shooting Stars inflatable game will have participants offering up their best shots, in this dueling basketball game unlike any other. Each player can engage in crossover shooting action as they try to make baskets, and as the balls return from each shot they go into the opponent’s lane. 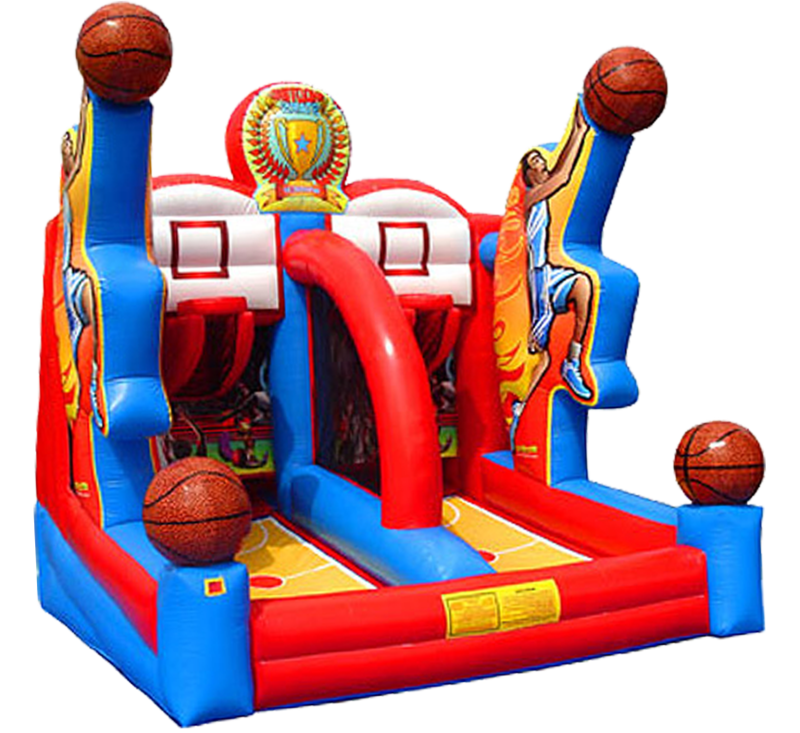 The first player to get rid of all their basketballs rules this inflatable court! CAPACITY: Can accommodate 24-80 participants per hour - 2 players simultaneously.